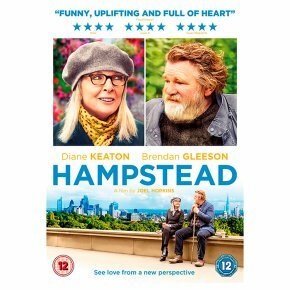 The film follows widowed American expat Emily Walters (Keaton) as she strikes up an unlikely friendship with Donald Horner (Gleeson), who has been living illegally in a shack in Hampstead Heath for the past 17 years. A year after the death of her partner, Emily whiles away her days in the British capital by volunteering in a charity shop and spending time with her son Philip (James Norton) but when she first lays eyes on Donald and his rustic dwelling she's keen to investigate further and begins a friendship which transforms her outlook on life, despite Donald's initial hostility to the company. When she learns property developers are trying to evict him to build luxury apartments Emily vows to help him fight back but Donald is uncomfortable with all the attention his cause gains when he is eventually taken to court to save his home and his way of life.